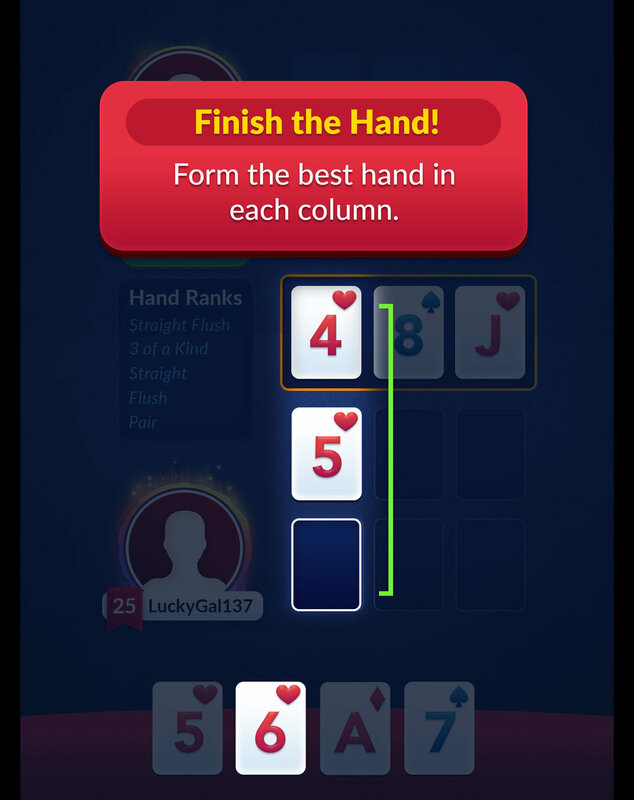 Burn3 Poker was an experimental card-based VS puzzle game for iOS and Android released by Big Fish Games. 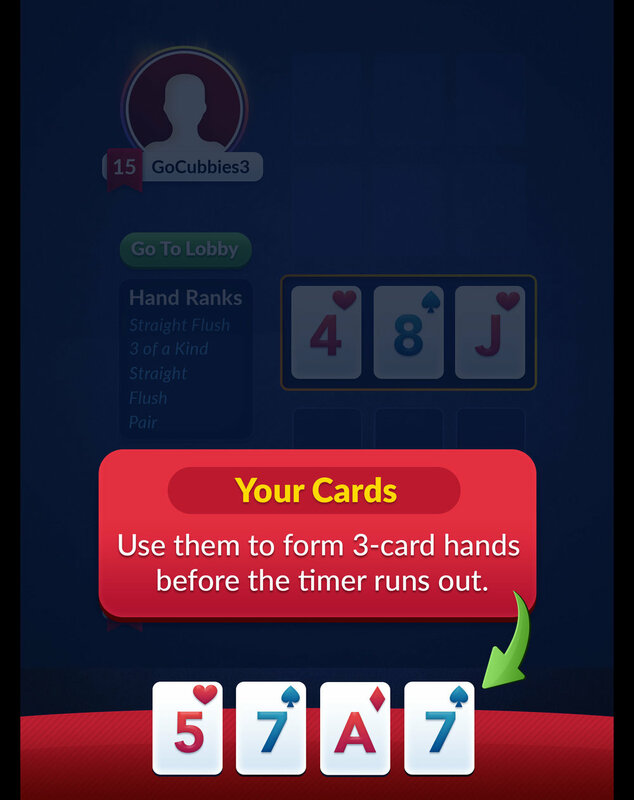 Players could compete with each other in real-time to line up poker hands and gain the highest score. I lead the UX and Visual Design and worked with other Designers on overall visual aesthetic and game mechanics. Burn3 started as a card game a few people start playing around the Big Fish office. Friends would compete during lunches and trips to get the higher score. As we continued developing the game mechanics, we realized it would make for a great realtime competitive mobile game. From the start, I wanted the game to have an antique but modern feel. I drew much of my inspiration from 'spiritual geometry'. I experimented with different ways to communicate gameplay concepts with an abstract visual language. During all phases of development we worked with potential players on the design of the game. We brought in players of similar games to test our user flow, game mechanics, and overall experience. After a period of production, we soft launched Burn3 to parts of the world on iOS and Android. We closely monitored player behavior and conducted more user testing. Our biggest challenge was teaching players the game mechanics and built out an interactive and brief tutorial for new players. Instead of throwing a player directly into a live competitive match, we allowed players to learn the game mechanics with interactive tooltips that guided them through gameplay. This helped increase player retention and engagement. 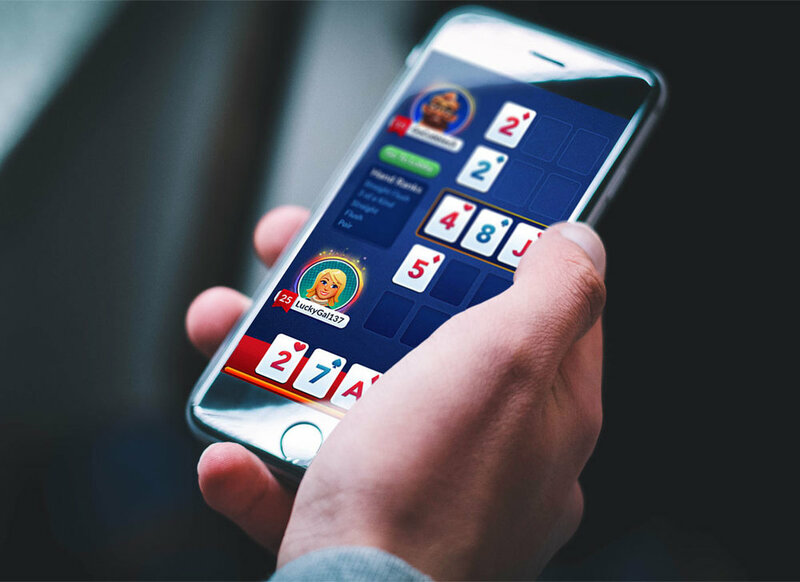 During the soft launch we also added new ways for users to play the game. We added more complex modes for advanced players and a tournament system for the community. We learned a lot through the soft launch process of the game it became a great launching pad for new projects in the future. 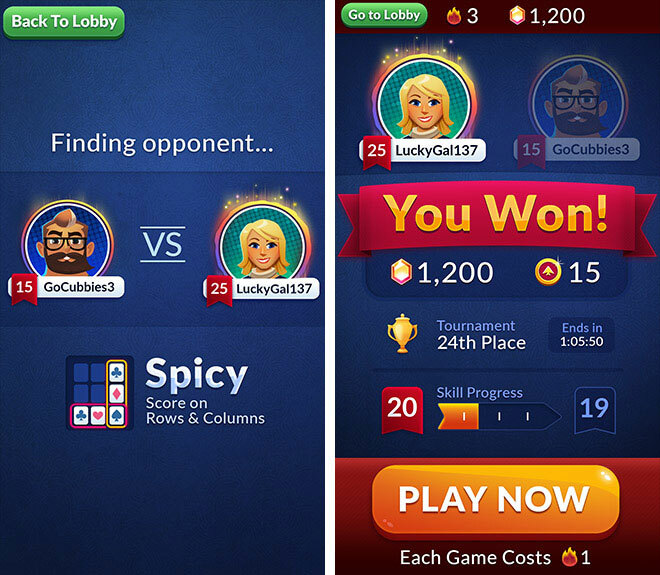 While it didn't perform well enough for a worldwide launch, it introduced a new way to play poker to the world.